The pen name "e;Clarence Young"e; was signed to the work of a group of writers who banded together to tap into the then-underserved market for juvenile fiction, especially action-adventure stories. 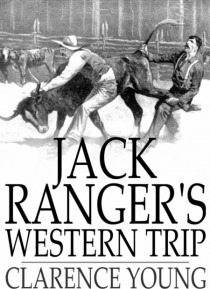 The Jack Ranger series follows the title character through a series of excursions and journeys. In this volume, the hero visits the Wild West, where he enjoys the untamed landscape and outsmarts… a few nefarious characters.